Description - Grapefruit oil is produced from the fruit by expression method. 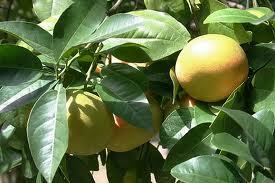 Effects on the Mind - This oil has a fresh, citrus smell and helps to elevate the spirits. Grapefruit has an energizing aroma, which can help with nervous exhaustion. Effects on the Body - It also has a toning effect on both skin and tissues, and is very useful when treating cellulitis and dry blemished skin. Grapefruit functions as a soothing agent, astringent, and skin conditioner. Blends Well With - citrus oils, especially Bergamot and Orange. Grapefruit is probably my favorite citrus EO (not including Bergamot, which is the BEST). I use this every day. Great scent, great feel. Very useful - aramotherapy or applied to the skin. Great in blends as well.